Jul 17, 2011. Technorati will need to verify that you are an author of the blog by looking for a unique code. Please put the following short code NXE2AEH6E36Y within a new blog post and publish it. 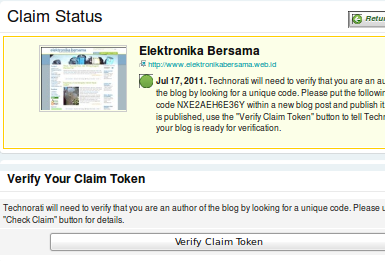 Once it is published, use the "Verify Claim Token" button to tell Technorati your blog is ready for verification.